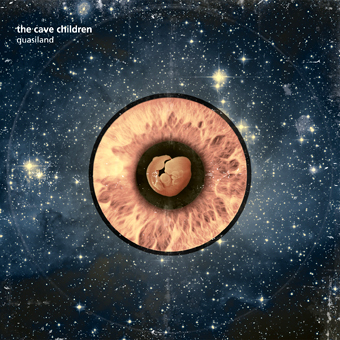 The Cave Children are a four-piece psychedelic pop band from Athens, Greece. They came together as a band in 2013, focusing their songwriting on memorable dreamy pop music. They first gained popularity performing in the underground music scene of Athens over the last year. Two years have passed since their creation. Two years full of recordings and live performances and The Cave Children are now ready to share their first album, entitled “Quasiland”. Dreamy psychedelic melodies, cinematic themes and raw garage rock outbursts are blended to accompany the existential and sarcastic lyrics of “Quasiland”. The title of the album with first synthetic the word “quasi” comments the political, social and professional uncertainty in which the album was completed and the lyrics of the 10 tracks suggest 10 different approaches to the meaning of Quasiland. The Athenian quartet has been influenced, among others, by the evocative soundtracks of Danny Elfman, The Beatles of 1969, Frank Zappa’s sarcasm, the British 90s, Greek music and the new psychedelic rock scene. The album was co-produced by Ekelon and The Cave Children with respect to the lo-fi aesthetics of the initial demos. “Quasiland” is out on digital album on April 14th and on vinyl including bonus cd on May 25th from Inner Ear.